Pest Control may not be considered a glamorous industry, but it is an industry full of committed folks, who truly understand that they are making a positive difference in many people’s lives. For instance, business owners depend on pest management professionals (PMP)to protect their reputations and livelihood by preventing pest issues from ever popping up. Homeowners are given peace of mind knowing their PMP will get the job done right or be back till it is taken care of. Guaranteed. So while it may not seem glamorous, PMP’s are often viewed as a “hero” in the eyes of those in the midst of a severe infestation. I hate bed bugs. Is there a chance I’ll bring them home with me? In nine-plus years of doing interviews for Modern, I’ve heard this question more times than I can count. No one wants to think about bringing home any pest at the end of a long day. The simple answer to the question is, yes. It is possible to bring home a pest that has gotten into the cuff of your pant leg or another part of your uniform, just as it is possible to bring back a tick after a walk in the woods. Now, if we rework the question just a bit and ask “is it possible I’ll bring them home with me,” the answer becomes a strong “most likely not.” In the nine years that I’ve regularly been fielding this questions, I’m not aware of a single case where this has happened. Part of becoming a trained service professional is learning pest behavior. We then can alter our habits to reduce the likelihood of pest transportation. As we’re performing our services, we’re always moving, reducing the chances for the pest to get on our clothing. By knowing how a particular pest moves from place to place, you also know how to prevent that activity. We provide all our service professionals with company uniforms, including laundry service. Team members who are worried about bringing home a pest are urged to change out of their uniform at our service center. Can this be a career opportunity? Absolutely! We have some employees who have have been working with us for more than a decade and have become masters of their trade. Furthermore, Modern believes strongly in rewarding our dedicated and accomplished service professionals with other opportunities within the company. As service professionals learn the business and gain experience, they may choose a career path that allows them to focus on a particular sector of the business. Future promotional opportunities include Management positions within one of our service centers or perhaps a future in an outside sales role. Modern also rewards longevity and mastery through our compensation program. The longer a team member works for us and the more they can fine tune their skills, the more they’re earning potential increases. There isn’t an easy answer to this question. Hours are driven by time of year, the sector of the business you work in, and where you live. That said, we try to maintain a healthy work-life balance as we don’t want to put anyone in a precarious position. For those working on the residential side of the business, hours are going to be more typical of office hours as homeowners do not tend to want service outside of regular hours. However, those who work on the commercial side of the business, are more likely to see early morning start times (3:00 AM isn’t out of the norm). Understandably, many of commercial clients don’t want service being performed in their establishment while their customers are present. Regardless of start-time, we try to limit our team members to an 8-10 hour shift, though there will be times where we need a shift to stretch to 12+ hours. For those of us in this line of work, we know how important it is to protect homes, businesses, and industries from damaging and disease-carrying pests. We understand the impact pest control has on public health, safety and quality of life. 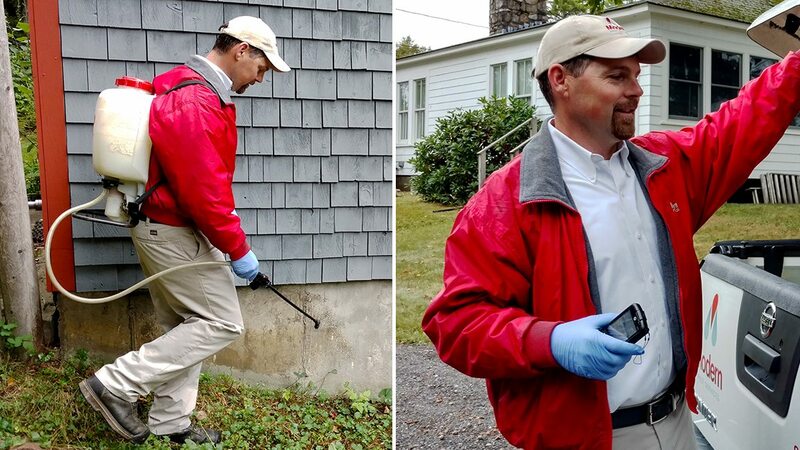 We have entomologists on staff, we’re experts in the field, and we’re passionate about resolving our clients’ most challenging pest problems as quickly as possible. As Pest Management Professionals, we take our jobs very seriously, and we’re proud to be making a difference in people’s lives every day. We realize that doing the right thing for our clients, as well as each other trumps all other decisions. And we live and work in the neighborhoods we service, and we’re committed to protecting our clients’ homes and businesses, as well as the environment. If this sounds like you …feel free to send us your resume or apply online today!